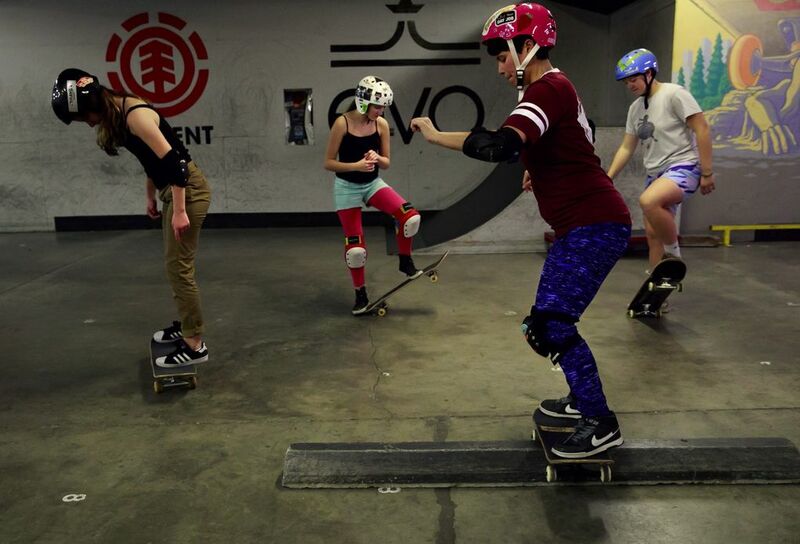 Skate Like A Girl hosts ongoing skate sessions Monday in Seattle and Tuesday at the Bellevue Indoor Skatepark, offering a $5 “free skate” option and $10 lesson with complimentary gear for women, nonbinary and transgender individuals. 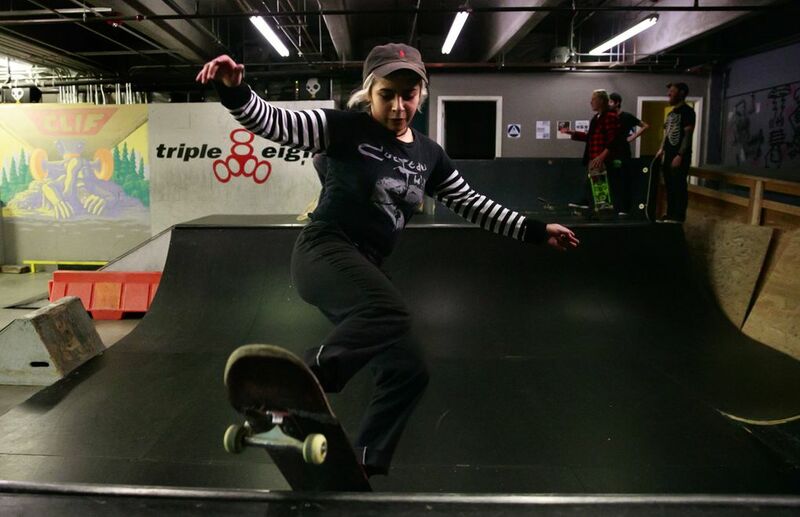 Skate Like A Girl hosts an ongoing Skate Like A Girl Ladies* Night on Monday in Seattle and Tuesday at the Bellevue Indoor Skatepark. A “free skate” session cost $5. A $10 option includes a lesson, “free skate” session and complimentary gear for women, nonbinary and transgender individuals. 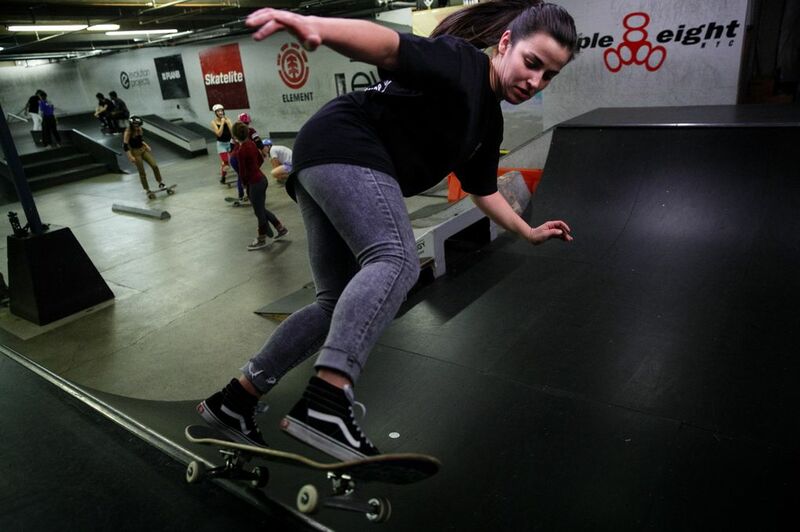 Cass Bermudez-Lopez, who coaches and runs the Tuesday skate night, says that skateboarding improved her confidence and self-esteem and that she hopes teaching the sport can impact other individuals in a positive way.